Based on MADD and TCJD guidelines. • A 2-hour presentation by a panel of victims/survivors. • Walk-ins welcome. Picture ID is required for attendance. • A Certificate will be issued to students who attend and complete a required evaluation form. • Total fee is $35. Pay with Cash, Credit, Debit or PayPal. 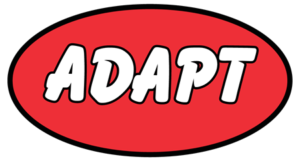 • ADAPT is located at 5110 Wilkinson Dr. #108, Corpus Christi 78415. • Open 9AM to 9PM weekdays; 9AM to 3PM weekends. • Pre-registration is optional for the Victim Impact Panel, but is available if desired. Important: You must arrive for the Victim Impact panel no later than 9:30 am.